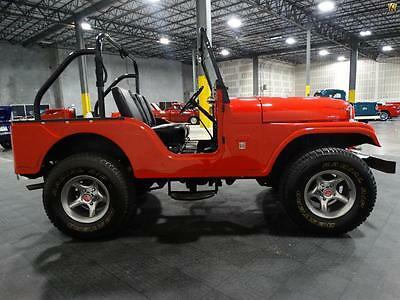 Please scroll down to see many beautiful pictures of this awesome 1969 Jeep Cj5 Here is a once in a life time opportunity to own this Amazing 1969 Jeep CJ5 . It was a 2 owner jeep that was in a new mexico garage for over 30 years until it went through an amazing no expense spared restoration on its Rust free body and frame. The jeep had only 5400 Original miles when it was done. I have the odometer statement from the original owner showing the miles.Today it has 5804 miles. Also it still has the Original front brake pads on it .You cant buy the original ones today anywhere . Also the muffler is still original and again not available. The body was take off the frame and painted professionally and its museum quality . The interior is also brand new and the floors were sprayed with rhino liner so they will last forever and are much more rugged. Under neath the truck its like when it was new. You can eat off the frame and you can see all the nuts and bolts are new. The engine is the same. It looks new and it starts right up and idles like a watch. It has the Dauntless 6 cylinder engine which was a work horse. Its matched with a 3 speed transmission which shifts flawless and easy. The jeep drives down the road amazing. At 80 mph its solid and very easy to drive. It has power steering.The wheels are aftermarket but give the jeep a much better stance and better handling. The original wheels are easily able to come by as they were steel and simple. The windshield folds down , It comes with a new frame for the soft top that was never mounted. Also new doors and window's along with a rear seat. The previous owner was a collector and it actually was in his living room .That's how clean this jeep is. 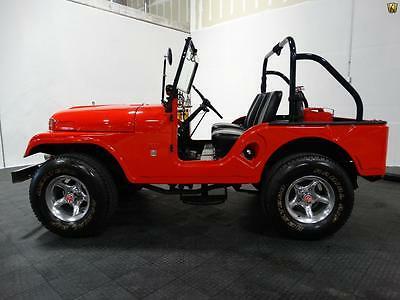 I am hoping this jeep goes to a collector who will cherish it like they did. 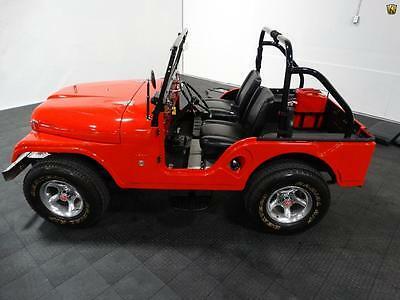 Its perfect for someone who is on a Island or wants to use in around town and just enjoy the cool factor of this amazing CJ5 . I am pricing this jeep to sell. 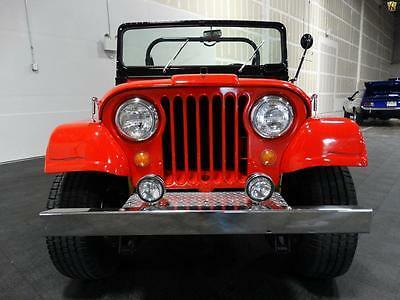 Please understand all the time and money that went into building this amazing CJ5 . You will not be disappointed in anyway.Please read my feedback as I take pride in selling great cars and trucks. Call me if you have any questions .. Steve 954-464-3515 The jeep will come with The frame for the top , Brand new soft top with doors and windows. Rear seat and bracket and Also a spare wheel to match the ones on the jeep. Fire extinguisher and gas can are included and mounted on the jeep.